You and your family may already be walking with Alzheimer’s disease or you may have a friend, neighbor, relative or colleague who is – in either event; having a basic knowledge of Alzheimer’s disease will help you understand the challenges and sympathize with the choices that those who travel with Alzheimer’s face on a daily basis. As of now, there is no known cause and no known cure for this disease. Even as I write these words, I hope that for many who read this book several years from now, these words are no longer true – that the cause has been discovered and a cure has been developed. This book doesn’t even begin to touch the surface of all of the elements that comprise Alzheimer’s disease, but rather it contains a few of the things that you need to know to “hit the ground running” should Alzheimer’s disease ever touch you or your family on a personal level. The information contained here will help you put together your own Alzheimer’s preparedness kit which will give you the capability to identify and effectively COPE with the various changes that comprise Alzheimer’s disease and also SEE that there is light at the end of the tunnel. It hopefully will give you a better sense of direction, be able to lessen a lot of frustrations as well as fears, but most importantly, it will make an Alzheimer’s journey go a lot easier. It will introduce you to many tips, tricks, hints and helpers that will make a caregiving experience go smoother and easier, while also providing essential caregiver support. Even if Alzheimer’s disease doesn’t invade your immediate family, chances are it will challenge a friend, a neighbor, a relative, a colleague or someone you advise on a professional level. The more you know about Alzheimer’s Disease, the better equipped you will be to offer sensitive support, secure in the knowledge that you know what to say and when to say it – what questions to ask and which ones to leave alone – what type of assistance is needed and have the courage to offer it. In other words, you can be the voice of HOPE that will help others COPE and also BE the light at the end of someone else’s tunnel. Alzheimer’s is a sneaky disease – many times the first signs are so small that we explain them away so that when the full force of the situation arrives, we are stunned, shaken and sent scurrying to find help, courage and options. Why? Because we aren’t prepared. Being prepared for Alzheimer’s Disease just makes sense. Being prepared for Alzheimer’s Disease makes awareness earlier, acceptance easier and any actions or decisions we have to take or make more effective and more educated. When we think of preparedness, we can’t help but think of the Boy Scouts because their motto is “Be Prepared.” Basically, this means being prepared both in mind and body to think out beforehand any accident or situation that might occur so that we know the right thing to do at the right moment and are willing to do it! In other words, we need to prepare our brain to plan for and be prepared to cope with difficult situations should we be faced with them. We keep an extra set of keys to the house or the car. Why? Because we were locked out or heard of someone who was and what a hassle it was to get in again. Often just being caught unprepared once or twice will catapult us into a preparedness mode. • We have extra food on hand in case the kids or the grandkids stop by around mealtime. • We have an umbrella in case it rains – not because we are afraid of rain, but because “wet” isn’t the look we wear well. • We have sunscreen, bug spray and hand sanitizer handy at all times. • We have a spare tire in the trunk as well as a blanket or two and some granola bars in the glove box just in case we get stranded in the snow. • Backups of all shapes and sizes. We only have to lose our information once for this to take root in our mind. • Maps or a GPS system for travel, because stopping and asking for directions makes Jack and Jill turn into Dr. Jekyll and Mr. Hyde. • We have home insurance in case our home is damaged or destroyed. • We have auto insurance in case we are in an accident. • We have health insurance for everyday situations or life threatening emergencies. • We have life insurance to provide security and protection for our families. • We have disability insurance to get back on our feet or sustain our family if we can no longer be the provider. • We practice financial and estate planning to protect our assets. • Floods – we are prepared to heed an evacuation order. • Storms- We have evacuation routes, meeting places, emergency survival kits and we know the safest places to be if we are caught inside or outside. 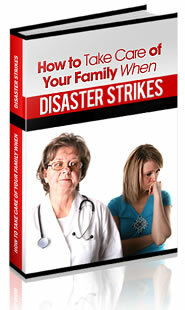 • Fire – we know how to file out quickly and calmly and have an escape route mapped out at home. We know that the air is better close to the floor, the words “stop-drop and roll” are etched on our brain, and we have a predetermined meeting place outside to account for all family members to prevent running back into a burning building to hunt for anyone. We have all of this knowledge and information about these “possible” events and situations that “could” happen, even though we fervently hope they don’t; and most of the time, they won’t. Why then, don’t we prepare for one of the most life altering challenges that we or someone close to us “may” or “may not” experience? That challenge is Alzheimer’s disease. We wouldn’t jump without a rope, or try to fly without a plane so why try to deal with Alzheimer’s disease with some type of preparedness plan? Next Chapter – Chapter 2 – Is There an Elephant in Your Room?